Along the beaches of Ko Olina, nestled between mountains and ocean of Oahu, Hawaii sits the breath-taking and magical Aulani, a Disney Resort & Spa. There are many reasons to visit this beautiful oasis that is just outside of the hustle and bustle of Waikiki, yet close enough to enjoy all the island has to offer. Laniwai Spa is one of these reasons. 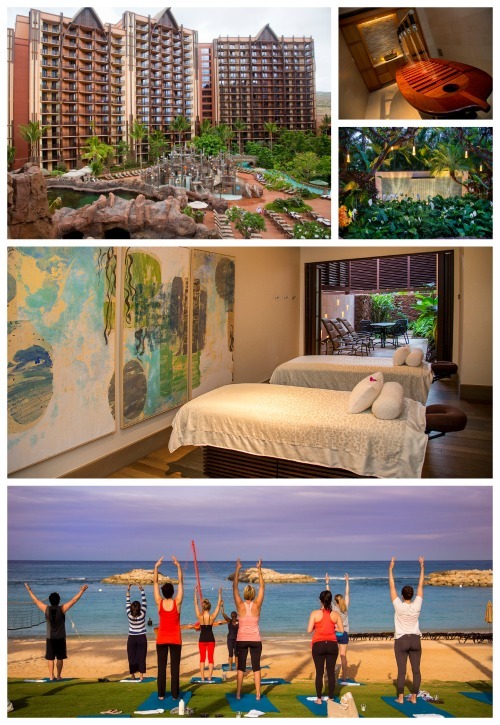 Located within Aulani, Laniwai is an 18,000-square-foot full-service spa and wellness center featuring spa therapies, and a variety of fitness options for the whole family from group exercise classes to intense one-on-one training. 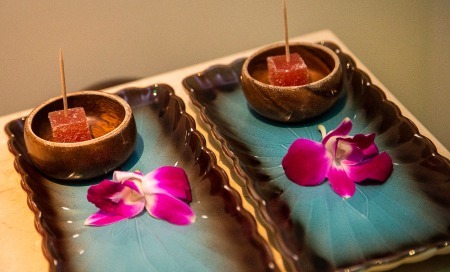 It is home to the Kula Wai, a 5,000-square-foot outdoor hydrotherapy garden to enjoy before or after spa services that includes herbal pools, six unique “rain showers,” hot and cold whirlpools, and plenty of outdoor relaxation areas. Aulani was voted this year’s “Top Hotel for Families in the United States” by the readers of Travel + Leisure and is one of the only true, luxury family wellness retreats that offers spa, relaxation and spectacular Hawaiian experiences for ages newborn and up. Laniwai meaning “freshwater heaven” in the beautiful Hawaiian language is a word that embraces the Hawaiian connection to nature and its waterfront location.